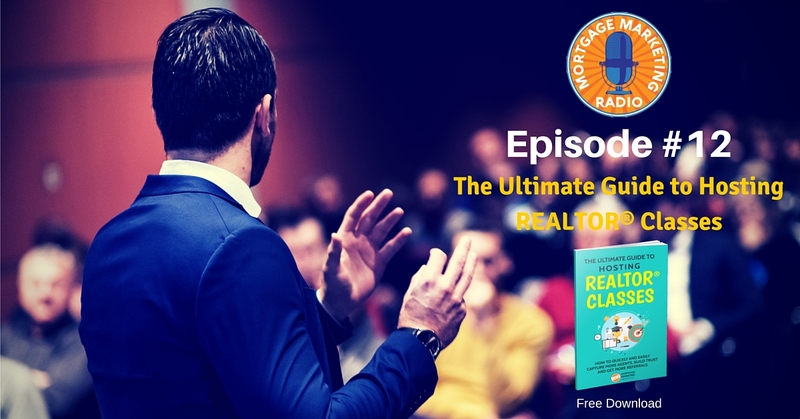 On this episode of Mortgage Marketing Radio #12, we unpack The Ultimate Guide to Hosting REALTOR® Classes. Listen in as I reveal five simple steps to help you host REALTOR® classes to quickly and easily capture more REALTORS®, build trust and get more referrals. A great companion to this episode is The Ultimate Guide to Hosting REALTOR® Classes. Grab your free copy. Download it here. Step 1: Understand the Mindset of Real Estate Agents – This is one of the most important exercises to complete if you want to succeed in attracting agents. You need to understand why agents say things like “I already have a lender” just to get rid of you. Most Loan Officers never take the time to understand how to influence agents. Don’t be one of those people! Step 2: The Traditional Sales Model is Broken – Are you still trying to attract Agents by cold calling, door knocking, and promising “great rates and great service?” To succeed with Agents, you need to flip the funnel and put yourself in the power position. This guide will show you how. Step 3: The New Rules of Sales and Marketing – Before you can expect to win Agents trust and referrals, you need a platform and messaging centered on engagement and sharing of relevant content that informs, educates, builds trust and ultimately leads to a conversion. Step 4: Do You Have a System or Do You Wing It? Building a steady stream of Agent referrals doesn’t happen without building a proven process to get you in front of agents and having conversations with Agents every week. An empty funnel leads to an empty pipeline. A system is the solution to consistent success with Agent referrals. Step 5: Hosting Agent Classes…Your Secret Weapon – Being in-person vs. online allows you to build trust faster, develop more rapport and “like-ability” which leads to getting referrals faster and building more loyalty. 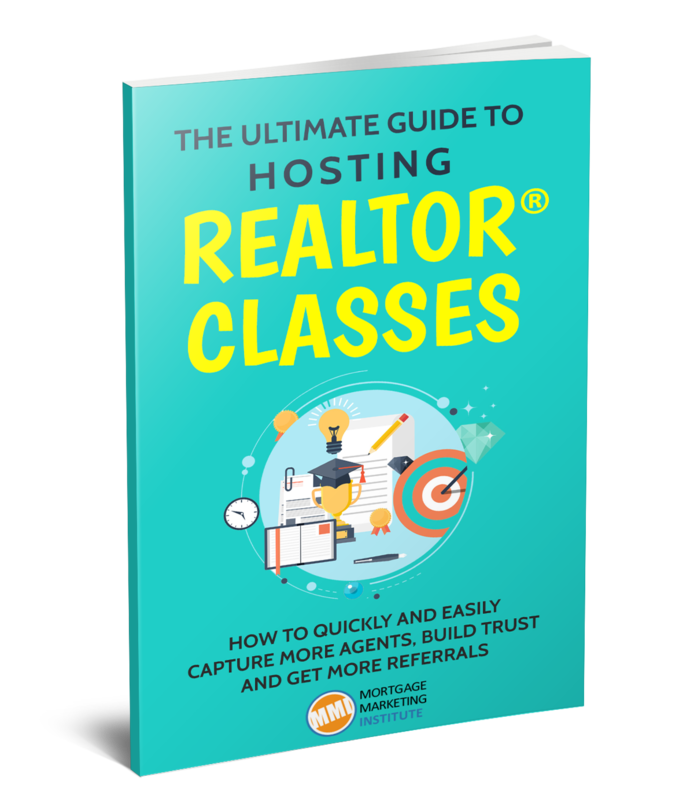 Remember to grab your free download: The Ultimate Guide to Hosting REALTOR® Classes.